Featuring up to 85,000 CFM, the new Brahm Series collectors also feature a decreased can velocity, lower internal static pressure losses, refined control loops on the variable frequency drive (VFD), and enhanced pulsing algorithms that increase filter life. 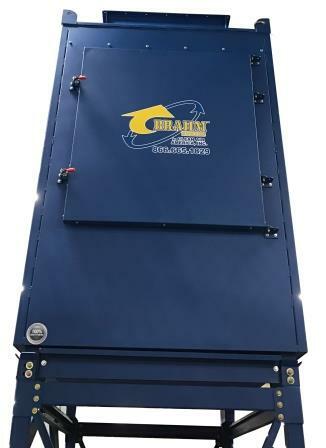 With the addition of features including zero-down-time pulse cleaning and speed pulsing, the collectors increase productivity, while simultaneously increasing air quality. Usability has been ramped up with the addition of the Synapse control panel. The touch screen controls allow for scheduled run times, integration into the manufacturing process, self-diagnostics, and data capture, which further reduces maintenance costs. The new design features many personnel-focused changes, including quick change filters, tool-less filter clamps, plug and play connections, and fast action latches.